The Mpls Downtown Improvement District is committed to working with the downtown community to create a safe environment for those who live, work, play, visit and explore here. The DID works with public, private, and non-profit organizations as well as law enforcement and outreach groups to achieve its safety goals. There are resources available to you in downtown through these initiatives, and DID invites you to take part in or learn about these resources so you can fully enjoy and experience downtown. Below is a Top 10 list of DID efforts, relationships and collaborations that help keep downtown a safe, vibrant and thriving environment. Also read our Annual Report and Operating Plan for more information on greening, cleaning and safety initiatives. The DID Ambassadors are friendly faces here in downtown—people who are approachable and welcoming. They can offer suggestions for things to do, help with directions, and even open doors for you if your hands are full. But they are also a group that helps keep downtown safe by keeping a watchful eye on the streets. If you see something you wish to report, the DID Ambassadors will be able to assist you. 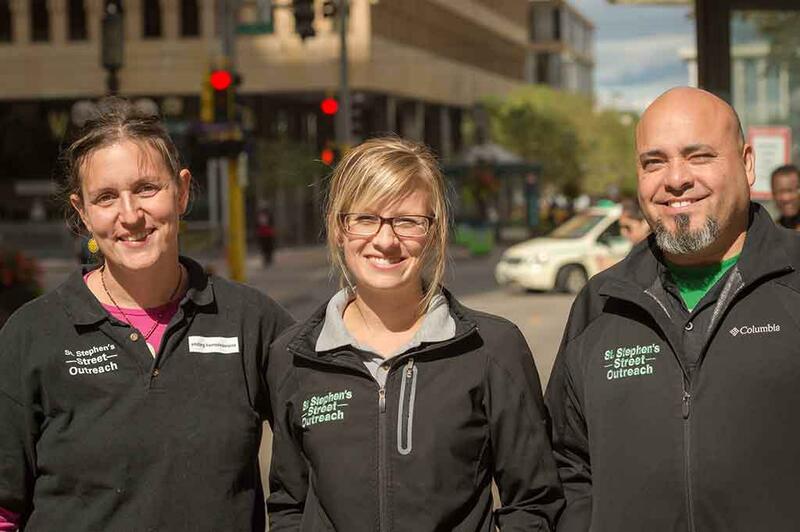 Ambassadors are a wide variety of people with a common love for downtown, and they’re here to help ensure a greener, cleaner and safer downtown environment. 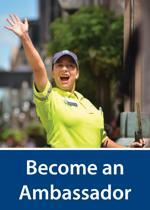 DID Ambassadors can be found Monday-Friday from 7 am-11 pm, Saturdays from 10 am-11 pm and Sundays from 10 am-6 pm. The Mpls DID’s Safety Communications Center, located within the Minneapolis Police Department’s 1st Precinct, serves as a downtown safety information hub. Dispatch Ambassadors work inside the DID Safety Communications Center 365 days a year, responding to pedestrian requests from Ambassadors on the street, tracking weather and emergency alerts, communicating with outreach services for people in need, monitoring public area cameras and collaborating with private security. The Safety Communications Center is a resource available for day-to-day needs as well as a major asset for overseeing big downtown events like the Major League Baseball All-Star Game in 2014 and Super Bowl LII in 2018. For more information on the DID Safety Communications Center, contact Shane Zahn. RadioLINK brings the private and public security partnership to life. The radio equipment is coordinated through the City of Minneapolis’ Radio Communications Electronics department. This is a valuable tool in expanding law enforcement’s reach as there are an estimated 13 private security officers for every one law enforcement officer on the street here in downtown. The DID Safety Communications Center serves as the central point of the RadioLINK system, connecting officers directly with private security teams and outreach teams via a common radio channel. It also expands private security’s reach by connecting organizations to one another. The program currently links private security teams from approximately 60 downtown buildings, businesses and venues together. For more information on RadioLINK, contact Shane Zahn. The DID livability team works hard to provide resources to those in need by connecting them with individuals or organizations that can help them in different capacities. Led by Joseph Desenclos, DID’s livability team grew to five individuals in 2016 and provide a voice and presence on the streets downtown. They work directly with those in need, answer direct calls and make connections to DID ambassadors, local street outreach groups, property owners and law enforcement. A incident management system called ISS provides real-time communication between the DID Safety Communications Center and the livability team. It enhances response time and provides a record of the call origins, action taken and resolution. Working with St. Stephen’s Homeless Street Outreach, the Mpls DID is focused on providing a place of first contact for individuals experiencing street homelessness and for community members who are concerned for them. The collaboration efforts help provide food, clothing, shelter, response to non-emergency calls and more. The mission coincides with the Minneapolis Downtown Council’s Intersections: Downtown 2025 Plan initiative to end street homelessness in the city. The Mpls Downtown Improvement District and Minneapolis Police Department worked together to create a new community engagement program collaborating with the MPD Police Reserves program. The program aims to increase police visibility along Nicollet Mall and in the Warehouse District during the summer and fall. Goals of the program include improving public safety efforts, security communication via RadioLINK, and both public and private collaborations. The Mpls DID and Youth Coordinating Board partner to provide a Street Outreach Program throughout the summer. The program connects youth with activities and resources along Nicollet Mall and the Warehouse District and aims to interrupt the behavior cycle for youth who are disruptive or disengaged downtown by connecting them to meaningful activities or resources. The Street Outreach Program’s overview runs weekdays from 5 pm-10 pm, June through September, and includes three teams of two youth outreach workers per day. Aside from being positive figures that help connect youth with positive activities, the Youth Engagement Teams also engage youth with the Minneapolis Central Library, provide information and resources, and even help connect youth through bus tokens. Mpls DID teams with YouthLINK, an organization which serves as a critical resource for youth experiencing homelessness, on several outreach initiatives including a newly-launched Youth Outreach Program. This program aims to connect the city’s youth with resources they need to find independence. It includes young outreach employees who have or are still experiencing homelessness as a way to help direct them to YouthLINK or other vital resource. Youth outreach workers also receive a scholarship from Minneapolis Community and Technical College that will cover the cost of a class. Downtown 100 Focus Team, January 2016. The Downtown 100 Chronic Offenders program allows a dedicated prosecutor and probation officer to be assigned to up to the top 100 downtown offenders. It is a collaboration between the DID, MPD, Minneapolis City Attorney’s Office, Hennepin County Community Corrections, St. Stephen’s Human Services, the Salvation Army, 1st Precinct neighborhood associations and other community and businesses and stakeholders. It also includes provision of housing and treatment services for offenders in need of assistance. Last year, there was a 67 percent reduction in crime by the Downtown 100 offenders within the DID boundaries. That is the seventh straight year of a reduction of 65 percent or more. For information on the Downtown 100 program, please contact Heidi Johnston. Mpls DID and the Minneapolis Police Department work closely together to facilitate safety workshops throughout the year. These complimentary, on-site personal safety workshops are aimed toward helping businesses, employees and residents of the downtown community learn safety trends, prevention tips and available resources. Safety training workshops include Intro to Personal Safety, Advanced Personal Safety Training, Personal Safety & Public Transportation, and Self Defense for Cyclists. They work for new businesses moving into downtown or long-time downtown businesses who want to continue ensuring their employees’ safety. Last year DID conducted 70 workshops. For more information on Safety Workshops or to schedule one for your team, contact Renee Allen.